Explorer Academy is the first novel series from National Geographic and it puts kids directly in the driver's seat. Cruz, along with his classmates, are thrust into a life and death adventure against shadowy foes, all while learning to become the next generation of great explorers. The series kicked off with The Nebula Secret, which introduced readers to Cruz, his classmates, the academy, and the nefarious villains out to suppress knowledge and innovation at any cost. Click here for a full review. 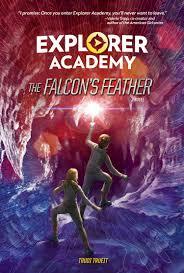 After the thrilling first installment, Explorer Academy is back with its second installment, The Falcon's Feather. Explorer Academy has the unique mission of entertaining kids (and adults) while also getting them interested in, and teaching them about, the sciences. 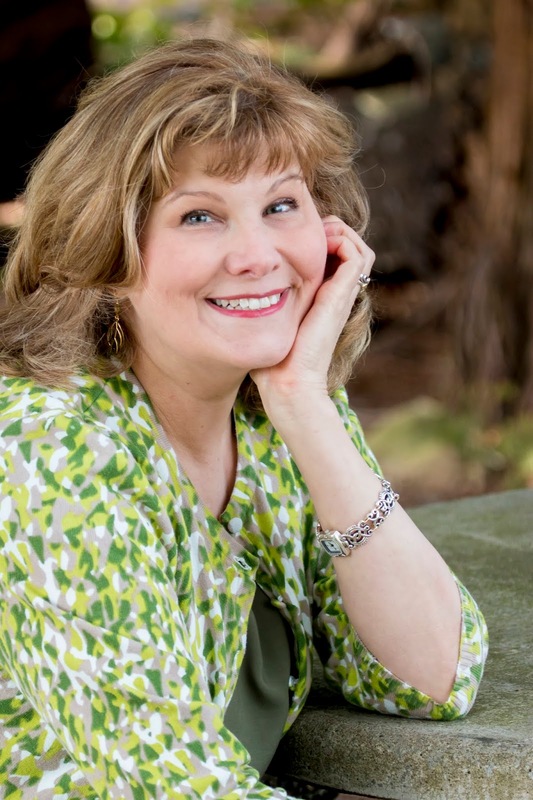 The stories and incredible science within its pages are plenty thrilling, but if that isn't enough to get you interested, they're embarking on a blog tour, complete with a massive giveaway. Keep reading for your chance to win signed books, swag, and a drone; everything you'll need to get started on your own scientific discoveries. 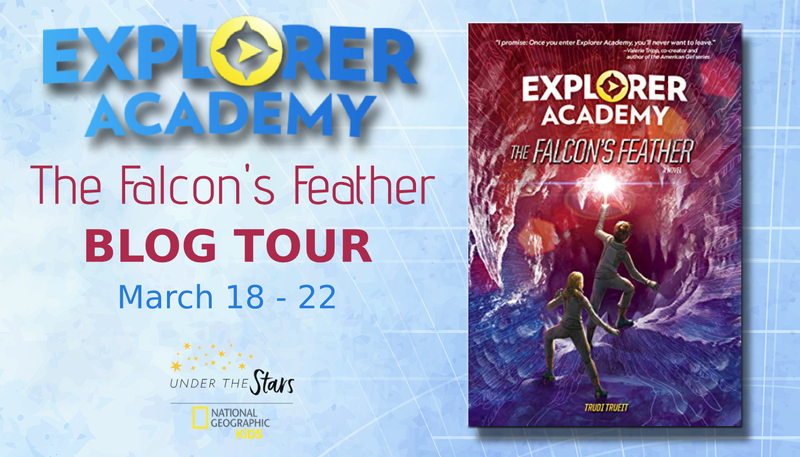 Welcome to Day #2 of the Explorer Academy: The Falcon's Feather Blog Tour! 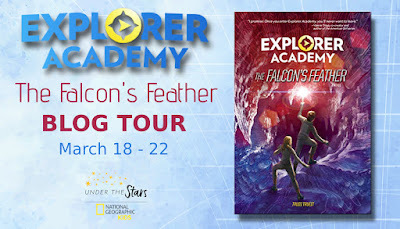 To celebrate the release of Explorer Academy: The Falcon's Feather by Trudi Trueit on March 19th, blogs across the web are featuring special content from Trudi and the Explorer Academy team, as well as 5 chances to win an Explorer Academy DRONE Prize Pack! The Truth Behind the Fiction: "Speaking Whale"
While the UCC is pure fiction and marine scientists aren’t able to “speak whale” yet, this remarkable helmet was inspired by the real-life discoveries that have been made regarding cetacean language. 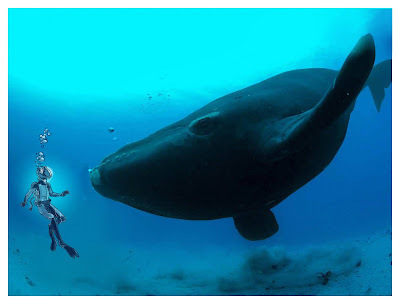 Researchers believe that the North American right whale uses moans, grunts, knocks, chirps and whistles to identify one another, find food and communicate. Different pods have even been found to have unique dialects! Scientists are also using such sounds and technology to help save this endangered species. For example, in the crowded shipping lanes of Massachusetts Bay, a chain of smart buoys listens for right whales 24/7. When the network picks up the call of a right whale, it alerts the Cornell Lab of Ornithology, which then relays the information to ships in the area so they can slow down and watch for whales. To see the facts behind the fiction at work, check out this video, created by the Cornell Lab of Ornithology, which shows exactly how these smart buoys work to keep these massive creatures safe and out of harm’s way.